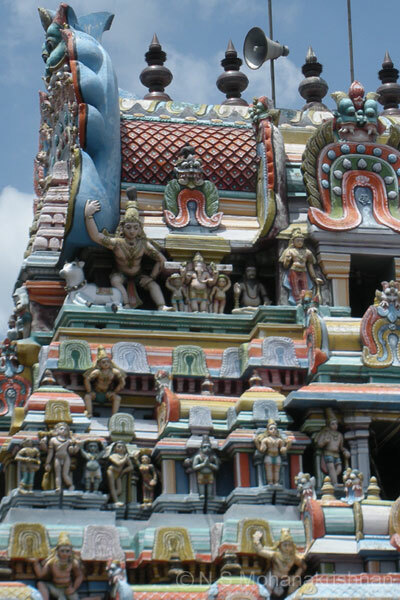 Some beautiful carvings including a snake passing through a pillar, entwined snakes with Lingam in the middle and Muruga worshiping Shiva are seen here. 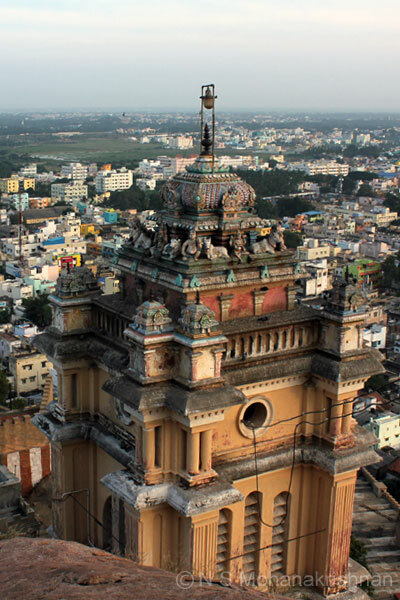 258 steps lead to the temple and a further further 150 odd steps takes one to the top of the hill and the Uchipillayar Temple from where one gets wonderful views. 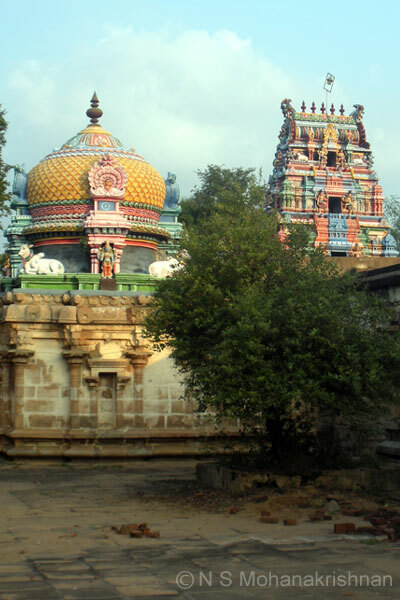 Thirueengoimalai is a beautiful hill temple with 500 steps leading to the shrine and the Lingam here is said to be made of Emerald. 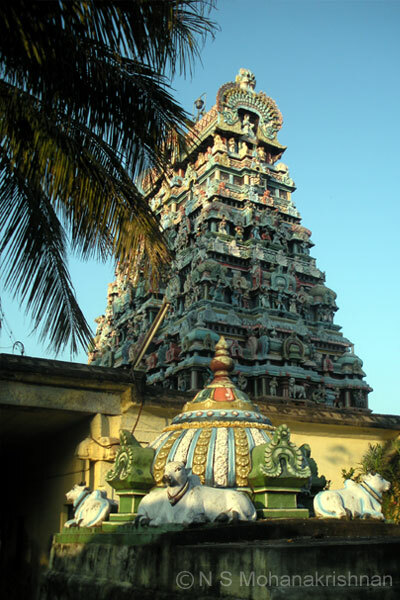 The temple had been under attack from the French, British and the Mysore armies during the Karnataka War of 18th Century CE. 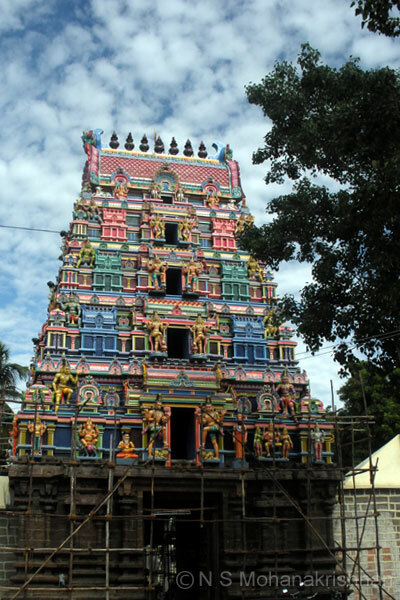 A large east facing temple with a 3 tier Rajagopuram and a Theppakulam in the front set amidst green fields and coconut groves. 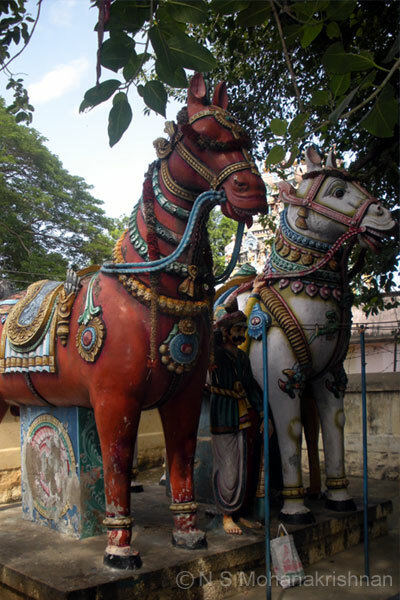 The Lord is believed to have appeared during 5 seasons in 5 colors to Sage Uthanga and hence his name is Panchavarneswarar. 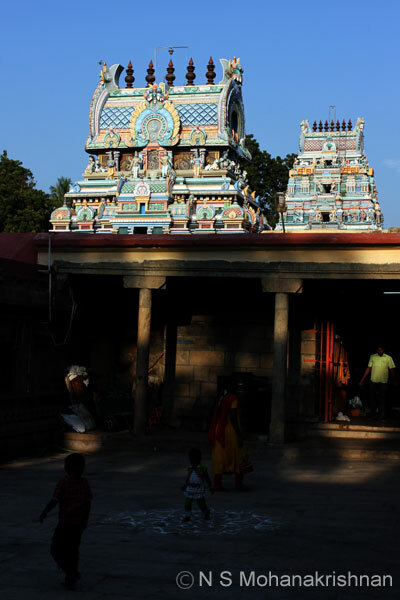 The shrine at the place where the lord is believed to have appeared for Thirunavukkarasar is below the ground level. 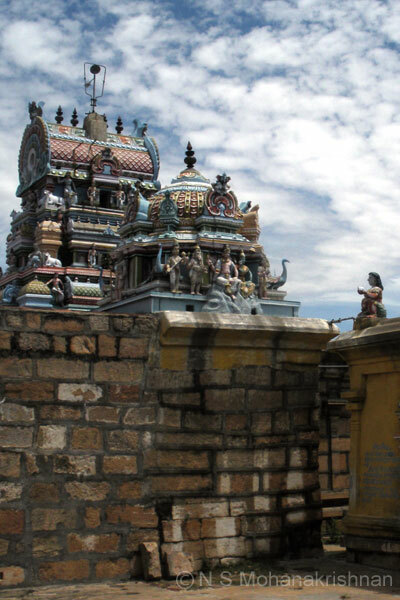 A small and beautiful temple situated between the Kollidam and Cauvery rivers. 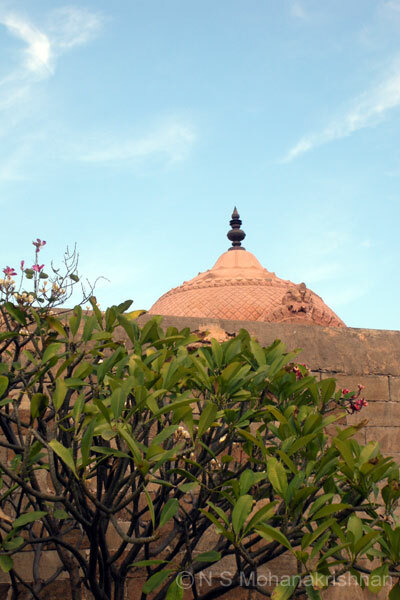 Stone inscriptions providing information about grain donations by the Hoysala King Veerasomeswaran (1253 CE) have been found here. 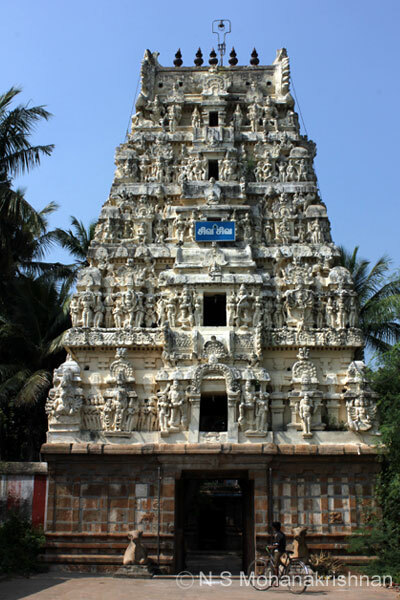 This is one of the Pancha Bootha Temples representing Water. 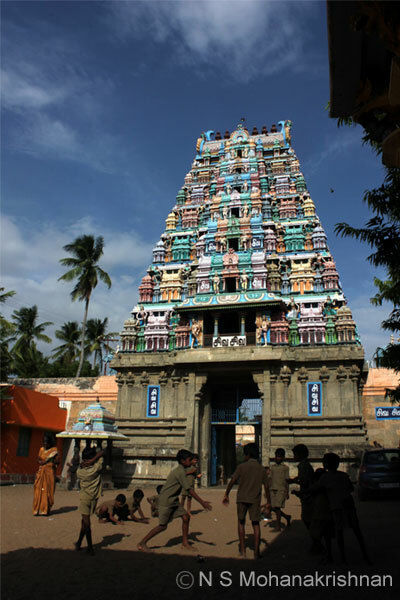 The priest of the Goddess shrine dresses up in female attire and goes to perform rites to the lord here. 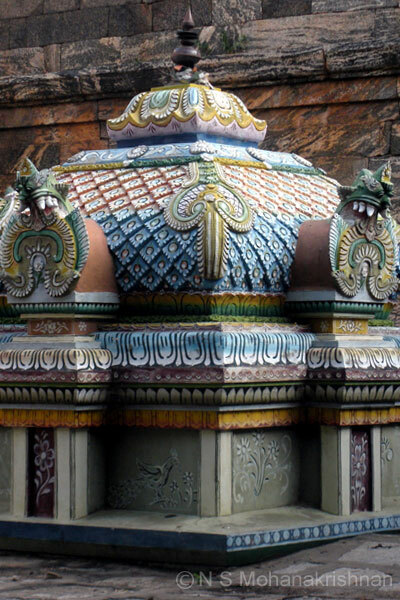 The Lord is said to have been worshiped here by Indra and other Devas in the form of Ants (Erumbu) and thus the name. The flowering plants, trees and palms here provide a glorious atmosphere and you can easily forget the world while inside. 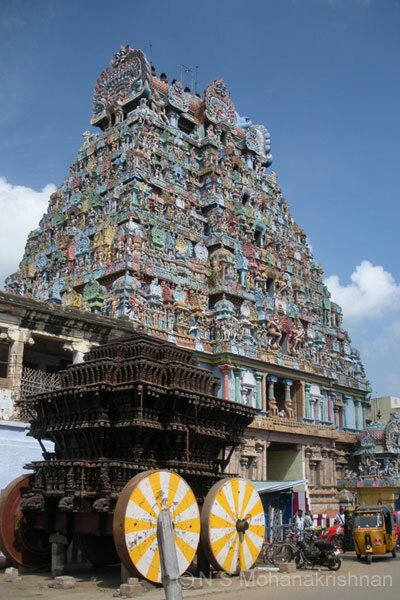 During the Tamil month of Aadi, the sun’s rays fall on the Lord in the morning every day.